The tech industry is one of the fastest growing fields worldwide. Unfortunately, a lot of students and applicants stay clear of the industry because they feel they’re not “techy” enough. The tech industry isn’t exclusive to programming, engineering, and computer science majors though. Tons of jobs exist for applicants in the field of analysis, humanities, business, customer service, and sales. A lot of SaaS and development companies are making software and products they want to sell. In a highly functioning company, the coders focus on the code. This leaves opportunity for support of the product in other ways – initiating, planning, executing, controlling and closing the work of the technical team to deliver a high quality product. That’s where a Project Manager or Coordinator comes in. This person is responsible for working together with the designers and developers, helping them improve the product and move the product they’re building through the project management life cycle. A Project Manager is responsible for ensuring the projects or tasks the team is working on are completed on time, or at least a decent timeframe, accounting for possible setbacks and revisions ordered by the client. In some cases, a Project Manager is required to have an IT related degree, or at least equivalent experience or background knowledge in IT. Basic requirements are time management and organizational skills, and a certification in Project Management. Analysts use their extensive knowledge of business, science, advanced excel skills, and math to find industry patterns that a business can exploit to further its growth. They’re also responsible for analyzing the business’ operations, examining the existing protocols and communication structure, and finding ways to improve it. Overall, analysts need attention to detail, good communication skills, and an uncanny ability to decipher the market’s needs and then translate it in a way that could be applied to the business. Yes, lots of jobs are getting replaced by robots and technological advancement. But customer support, especially for tech products hard to maneuver, isn’t going to be left to robots anytime soon. 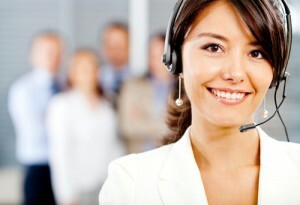 Tech customer support agents help customers figure out a gadget or software they bought. The job includes troubleshooting, providing step-by-step directions, and remote accessing gadgets to fix them. Patience, excellent listening skills, problem-solving skills, and the knack for explaining jargon in layman’s terms are basic skills required for this position. Customer support is a great way to start a career in tech, especially if you don’t know the specific field you want to be in right now. Why? Because it’s not field specific. You’re not limited to a specific programming language or building an app. Companies in different fields of tech all rely on tech support to keep their customers happy, so you can apply for a job in a specific field of tech you’re interested in, whether that’s app development, cloud computing, or web development. Don’t scoff at this job yet – they play an important role in the tech industry. They’re the people who move the product from the business to the consumer’s hands. They’re responsible for developing relationships with potential customers in both B2C and B2B settings, so tech experience isn’t required but an ability to build relationships, read people, and communicate well are all extremely important. You’ll never know until you try. Think of these jobs as a stepping stone, or as your “in” to experience an otherwise unfamiliar field. Is Your Boss Endangering Your Career Advancement? HIRED! is a proven, step-by-step job search course designed to empower you to land a job faster!